In what the NHTSA has called "the largest and most complex safety recall in U.S. history," approximately 46 million vehicles equipped with Takata airbags have been recalled. The airbags were found to have chemical defects that can cause them to explode and spray metal shrapnel onto passengers. The propellant in the air bags was found to break down when exposed to high temperatures and humidity. This causes the propellant to burn too quickly and results in increased pressure in the inflator, which can cause the inflator to explode. The faulty airbags have injured nearly 200 people and killed 19. Takata airbags are in cars made by 19 different manufacturers. Some automakers, such as Tesla, Honda and Subaru, have been vigilant about getting news of the recall out to the public. They have contacted consumers by putting ads on social media and sending representatives door-to-door. Unfortunately, other automakers are not being as aggressive with their outreach. Of course, letting people know about the recall is only half the battle. It is sometimes difficult to get people to respond to recalls such as this because they do not think the problem is a big enough concern to actually take the car in to be fixed. The NHTSA and vehicle manufacturers are urging the public to get their defective airbags fixed as soon as possible. The repair is free for consumers. A car accident can be a frightening, traumatic experience, but so can the events that follow. Serious injuries, time away from work, unpaid medical bills, financial problems, and so much more are all possibilities. However, it is possible to recover your losses, including those that may not have a monetary value. Protect your rights and improve your chances of receiving fair compensation by knowing what steps to take after an accident in Illinois. If anyone is seriously injured during an accident, your first step should be to call 911. Excessive bleeding, head injuries, lack of consciousness, entrapment, or difficulty moving a body part are all signs to look for in yourself, your passengers, the other driver, or the other car’s passengers. If at all in doubt, call for help. Also, unless you have specific medical training, you should never try to move someone who is seriously injured unless leaving them would put them in greater danger. Last night, the 2017 World Series got underway as this year’s baseball season draws to a close. Business is essentially back to normal for Major League Baseball, though the mood could have been quite different. About a month ago, a toddler at Yankee Stadium was hit in the face by a 105-mile-per-hour foul ball during a game. The little girl suffered a broken nose and other fractures, spending five days in New York hospital, but her injuries could have been much worse and potentially fatal. The frightening incident has led many to wonder about the family’s recourse regarding their child’s medical expenses. Could they sue the New York Yankees or the ownership group for negligence or failure to provide for the safety of spectators in attendance? While many injured spectators have tried in the past to sue ballpark owners and sports teams, their efforts are often unsuccessful due to a doctrine known as “assumption of risk.” In the state of Illinois, the assumption of such risk has even been codified into statutory law. A car accident is not truly safe for the occupants of any of the vehicles involved. Automakers and insurance companies, however, are constantly crunching numbers to determine which seat—if any—may be slightly less dangerous than others in the event of a car crash. Long-standing wisdom suggests that the back middle seat should be the safest in an accident, but recent advancements in safety technology have challenged this way of thinking. The prevailing belief regarding the rear middle seat—despite usually being the most uncomfortable position in a vehicle—is that the spot is typically about as far as one can get from the point of impact. When a collision occurs at the front the car, the back middle is, on average, the farthest away and least likely to be affected. Crashes that occur at intersections may result in crushed doors and outer seats, but the middle is statistically safer. The fall season has officially arrived in Northern Illinois and school is back in full swing. If you have school-aged children, you may have struggled with them adjusting to getting up early again, finishing homework before dinner, and the everyday stresses that are part of the educational process. Of course, the new academic year affects those without children as well, particularly individuals who live near a school or who must pass by a school on their way to and from work. Every day, millions of Americans drive through school zones, but a disturbing new study suggests that as many as one in three drivers may be distracted when they do. Zendrive is a California-based tech company that develops tools for capturing and analyzing driving behaviors for individuals, fleets, insurance companies, and other organizations. The company recently conducted a study that examined some 75,000 schools across the United States and how drivers who passed them behaved behind the wheel. According to Zendrive’s numbers, nearly nine out ten drivers (88 percent) still use their phone while driving despite laws against hand-held device use in nearly every state. Car accidents can be complex and messy. 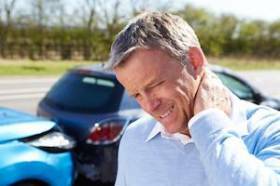 If you have been injured in a car accident caused by someone else, you deserve compensation for your losses. Often times, car accident cases become complicated and require extensive courtroom litigation. A qualified personal injury attorney can assess your case and explain potential strengths and weaknesses. Sometimes an expert witness can be used to testify on your behalf and strengthen your case for collecting damages. One of the first things an accident victim must do is prove that he or she was not at fault or was less at fault than the other driver for the crash. If fault is not obvious, each side may call upon expert witnesses to testify as to who caused the accident. Expert witnesses may analyze the accident, draw conclusions based on evidence, and explain their findings and fact-based opinions at trial. Medical professionals, economists, accident reconstructionists and engineers commonly use their experience and knowledge to explain what happened during the accident and what the effects were. Labor Day, the holiday recognizing America’s workers, is intended as a day of rest and relaxation and a chance to enjoy a rare three-day weekend. Barbeques, ballgames, lakeside fun in the sun – these are hallmarks of Labor Day, so it is both unexpected and tragic when the holiday is marred by an injury or death. Unfortunately, with so many Americans hitting the road to visit friends and family, and with alcohol often being a feature of social get-togethers, accidents are inevitable. Personal injuries may be suffered on one of the nation’s highways, parks, sporting grounds, lakes and other swimming areas, or even unlikely places where you least expect it. Cuts, bruises, broken bones, post-traumatic stress, and even loss of life are among the consequences. When harm is suffered by no fault of your own, the pain and suffering are only magnified. Besides a ruined holiday and unexpected medical care and bills, there lingers the need to hold a wrongdoer accountable for the physical, emotional, and financial losses you have suffered. Fortunately, in the civil courts of the state of Illinois, procedures are in place to allow victims to seek redress from those that have caused harm, whether intentionally or negligently. When is an Illinois Doctor Liable for Failing to Get a Patient's “Informed Consent”? Medical malpractice involves more than a physician's negligence. A doctor can be held liable if he or she fails to inform the patient about the “general nature” of a procedure and the patient is subsequently injured. Informed consent in this context includes explaining the “risks involved, the prospects of success, the prognosis if the procedure is not performed, and alternative treatments." Informed consent often comes up when dealing with birth injuries. There are cases where a doctor fails to properly warn an expectant mother of the risks of natural childbirth. As a result, the child may be injured during delivery and suffer lifelong consequences. Can a Dog Owner Be Liable for a Motorcycle Accident? Approximately 4,500 people are killed each year in motorcycle accidents, according to federal safety statistics. Even a non-fatal motorcycle accident can leave a driver with serious injuries and cost thousands of dollars in medical bills and lost income. Therefore, when an accident is the result of another party’s negligence, it is important to hold him or her accountable. Sometimes a motorcycle accident may not be directly caused by another person, but there is still a question as to how a person’s actions may have led to the victim’s injuries. An Illinois appeals court recently addressed such a case. The central question was whether two dog owners’ alleged carelessness led to a motorcycle accident. Can You Be Punished for “Taking the Fifth”? It is important to understand how the burden of proof works in a criminal trial. If you are accused of a crime, you are not obligated to present any evidence in your defense. Of course, it may benefit you to do so, depending on the circumstances of the case. But at no point can a judge or jury demand that you “prove” you did not commit a crime. Aside from the fact it is difficult to prove a negative, it violates the plain language of Illinois law, which presumes the defendant's innocence.